An alumnus of IIM Ahmedabad and an Electrical Engineer from IIT Kanpur, Neeraj started his career with Unilever in India where he held several positions in Sales and Marketing over a period of 20 years reaching the position of Regional Brand Director for Asia. Neeraj then moved as the VP & Chief Operations Officer for Britannia where he built new benefit spaces, new brands, and big new channels, successfully tripling the businesses to a billion dollars. 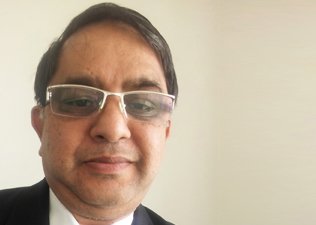 Thereafter, he moved to Emami as the CEO – Consumer Care Division. Neeraj has a passion for creating large new businesses and brands. He has initiated large personal care sectors - starting with shampoo sachets and then onto deodorants, lotions and face washes. He has also built new categories and the health segment in foods. Neeraj Chandra is based in Bangalore and is a Senior Advisor with YFactor.